Metropolitan Police Department officers will participate in a new course that focuses on interactions between minority neighborhoods and law enforcement agencies. Updated: April 23, 2018 at 3:27 p.m.
Metropolitan Police Department officers are walking the halls of the National Museum of African American History and Culture and attending lectures about police brutality as part of D.C.-wide effort to improve racial interactions between cops and the community. D.C. Mayor Muriel Bowser announced the launch of a new yearlong partnership earlier this month between professors at the University of the District of Columbia Community College and MPD to further officers’ knowledge of the history of African American communities in the District. All currently sworn and civilian members will participate in a course, which focuses on interactions between minority neighborhoods and law enforcement agencies, amid a nationwide conversation about race interactions between police officers and the communities they serve. The program – which began in January – consists of a 10-hour course in which police officers participate in a series of lectures, a walking tour of the National Museum of African American History and Culture and discussions with staff on police brutality, Marvin Haiman, the executive director of MPD’s Professional Development Bureau, said in an email. 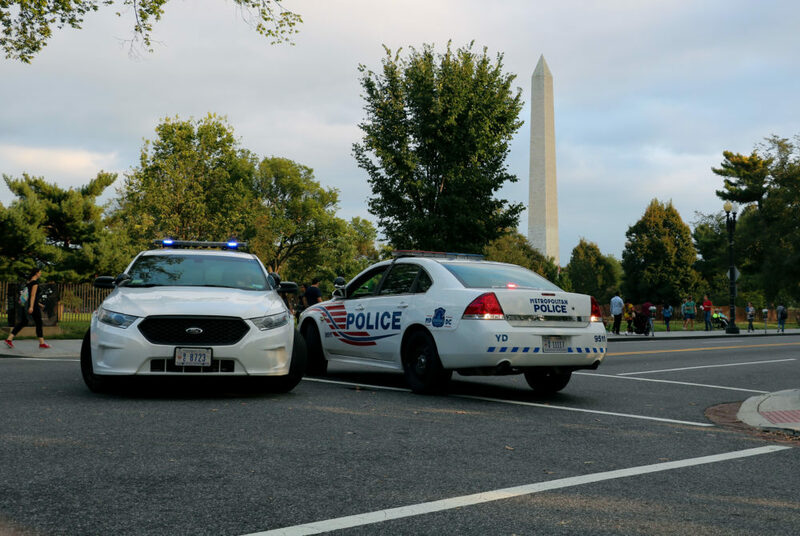 “Learning about D.C. history – in particular, black history and culture – helps foster greater understanding of the neighborhoods that our officers serve,” he said. Bernard Demczuk, a professor of African American history and culture at the University of the District of Columbia Community College, who created the program’s curriculum, said the program has trained 960 officers to date and will continue through the entire year to train a total of 4,460 people – 3,800 officers and 660 civilian support staff, like policy writers and software developers. New officers that join the force – approximately 25 each month – are also required to take the course, he said. He said police officers have historically been used to enforce unjust laws. “The police have been used, have been set up, to fail by the politicians, and this course helps them understand that for the last 300 years they’ve been on the wrong side of history,” Demczuk said. By learning African American history, police officers are better prepared to de-escalate tense situations because they are less hostile and more empathetic toward minority communities, Demczuk said. Experts said that by understanding minority communities and learning about the ways police actions can disproportionately and negatively impact them, officers will be more considerate of tensions and be better prepared to handle racially charged situations. David Carter, a criminal justice professor at Michigan State University, said tensions have escalated between minority communities and law enforcement because of racial profiling through the stop and frisk policy and the excessive use of police force against African Americans nationwide. He added that the 2014 shooting of an unarmed black teenager by a white cop in Ferguson, Mo. brought unjust police actions to a national spotlight. “There was almost an earthquake that set off the pressure that had been building for some time about how police officers had dealt with minority members and particularly African American members,” he said. African American men are three times more likely to die from police use of force, according to a 2016 article by CNN. African Americans fatally shot by police in 2015 were twice as likely to be unarmed than white Americans who were killed, according to an NBC article last year. Judy Lubin, the president of the Center for Urban and Racial Equity, an organization that aims to develop solutions to improve racial inequalities, said the course will examine the cultural and systemic context behind police operations – which is crucial background if officers want to be more fair in their work. “There needs to be an intentional process of looking at the department through various levels because we understand these issues to be systemic issues, and so the approach to the solutions have to be systemic as well,” she said. The Hatchet incorrectly reported that the new partnership was announced last week. It was announced earlier this month, on April 13. We regret this error.